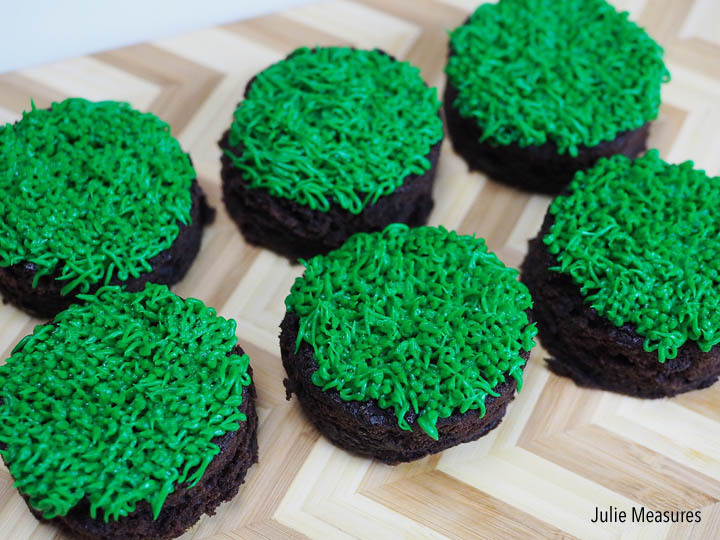 These Golf Brownies are as good as a hole in one! 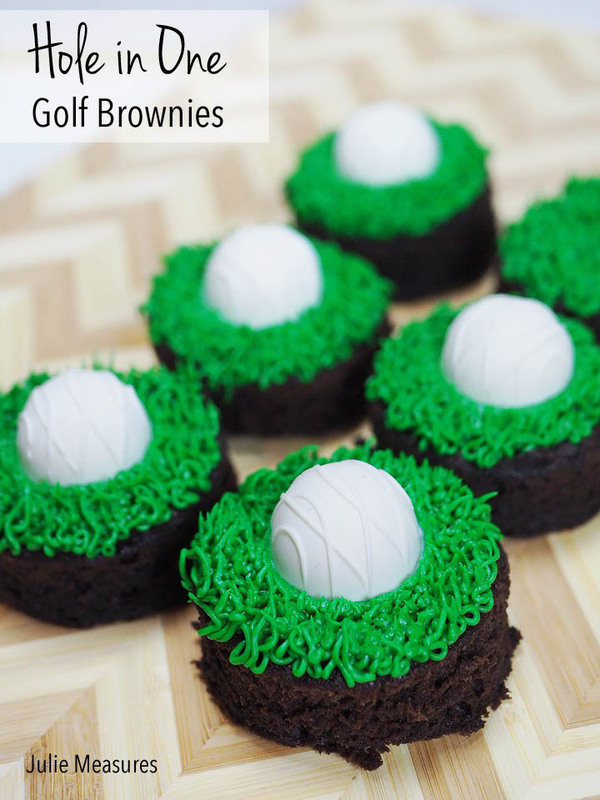 This golf dessert would be perfect for a golf party or your favorite golfer. In all honesty, I have never played golf. At least real golf. I have spent a fair amount of time playing miniature golf. But despite my lack of golfing knowledge, I am developing a fondness for it. Probably because I am serving as the Golf Chair for my Junior League this year. 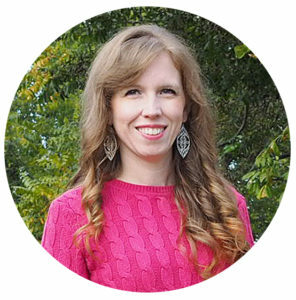 Since last summer I have been talking to golf courses, planned a golf tournament, worked on recruiting sponsors, put together raffle baskets, and thrown a golf kick-off event where we had drinks, light bites, and a live band. The actual tournament is about 10 days away and I am busy putting all the final details together. Goody bags for the golfers and prizes for our 1st, 2nd, 3rd, and last place teams. I have put together a lot of events over the years. Actually, at one point, I really wanted to work as an event planner. So it seems a little like fate that I’m not putting together for the non-profit where I volunteer my time! If you ever want pointers on how to put together a golf tournament, just let me know. My biggest piece of advice for any event is to start early. Of course it isn’t just me planning this event. I also have a fabulous committee who have been working really hard. And once the event is over I plan to thank them with food. Which led me to start playing around with some golf themed treats. I decided to bake a test batch of Hole in One Golf Brownies. I started by baking just a normal pan of brownies. I let them cool slightly before flipping them out onto a cutting board. 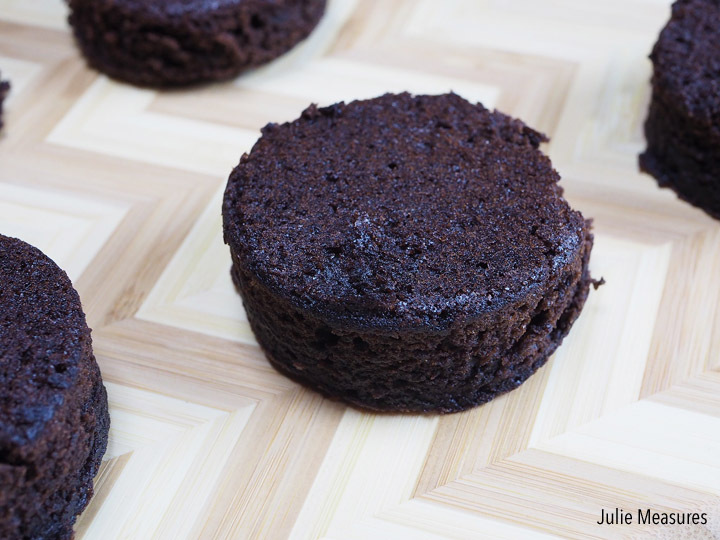 Then I used a round cookie cutter to cut out individual brownie servings. 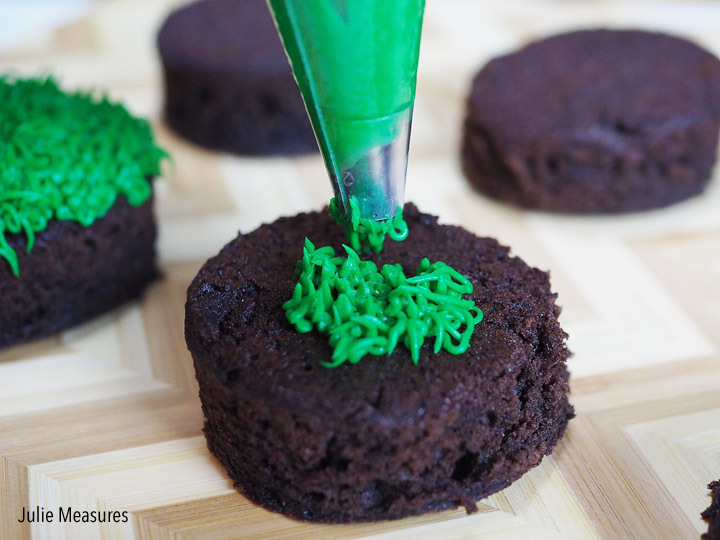 After the brownies were cut out I frosted them with green frosting to represent grass. 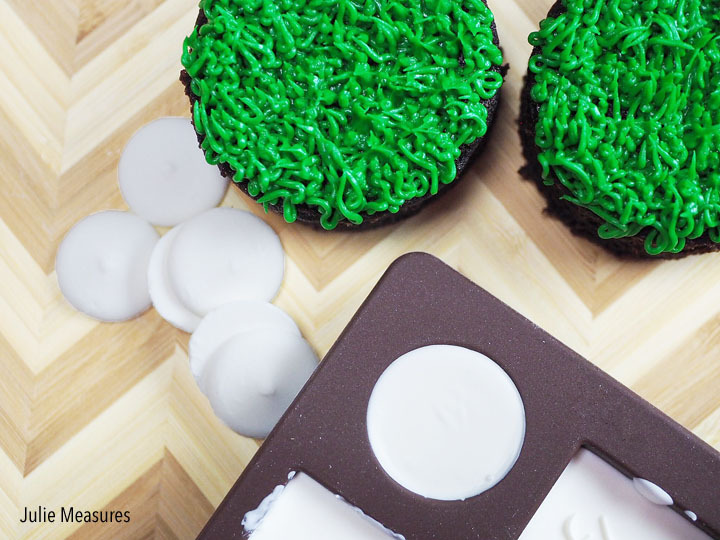 I picked up a special frosting tip to create the grassy look and then just piped over the tops of each brownie. 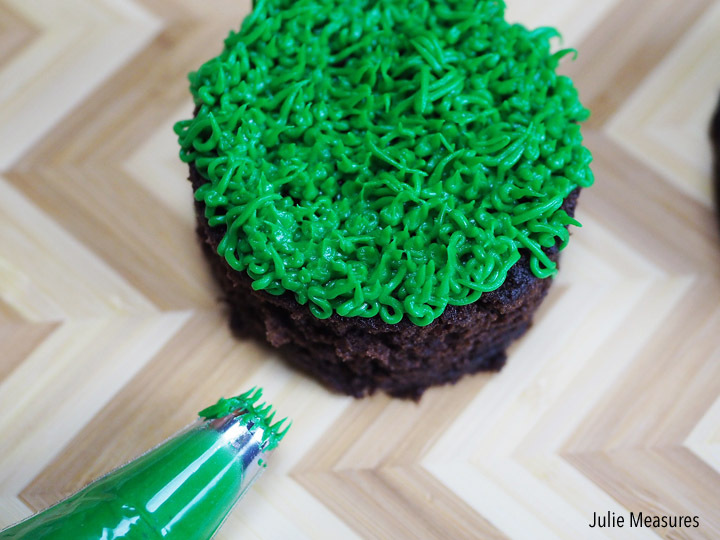 I am not a cake decorator, but thankfully ‘grass’ frosting can be pretty forgiving. 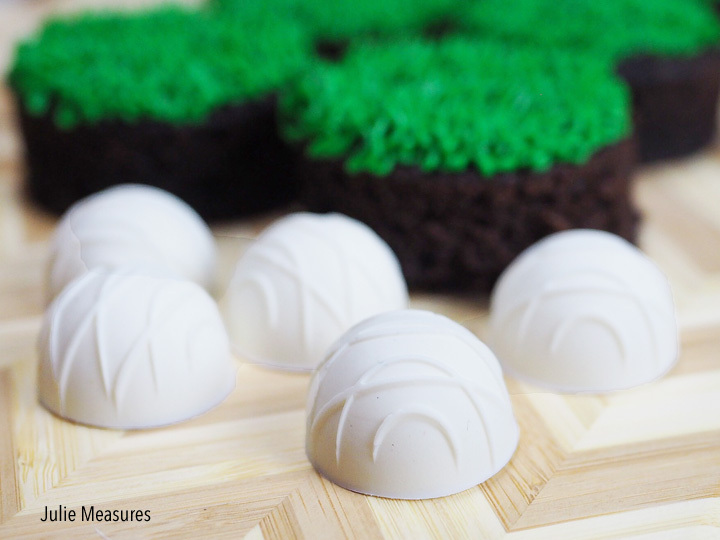 The last step was to make white chocolate golf balls. I found a silicone mold that had some half circle shapes and used that to create my golf balls. Put white chocolate baking chips into the mold and then melt according to the mold directions. Allow the chocolate to set before removing the chocolate pieces. And there are my white chocolate balls! I know that the lines on them aren’t exactly ‘golfy’, but I’m really happy with them. And I have a mold that I can use for other things now, too. 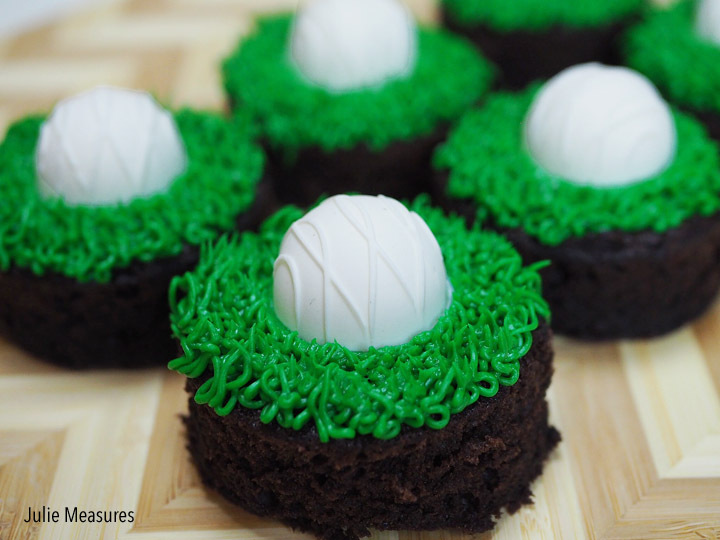 Nestle your white chocolate golf balls onto your green grass frosting. And just like that, you’ve created Golf Brownies! 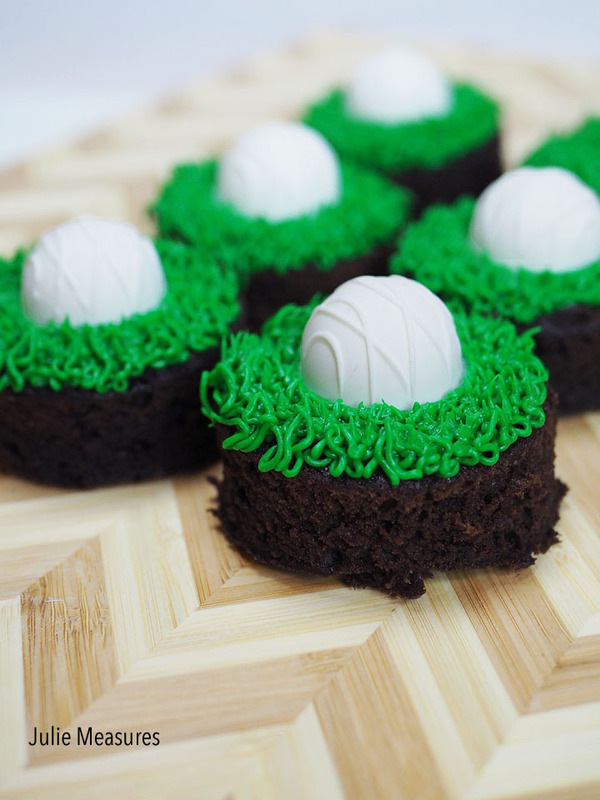 This golf dessert will be so cute to make for my committee. And they would be perfect for any golf themed party or gathering. Want more golf themed goodies? Check out my golf centerpiece party idea!